It is relatively easy to insert an image into a PDF file, and with the right tools it is easy to remove an image frfom a PDF document as well. With a professional PDF editing tool like PDFelement, this process can be done simply, and in a matter of seconds. Below, we'll teach you how to remove image from PDF files using PDFelement. PDFelement lets you easily insert and delete images on PDF. 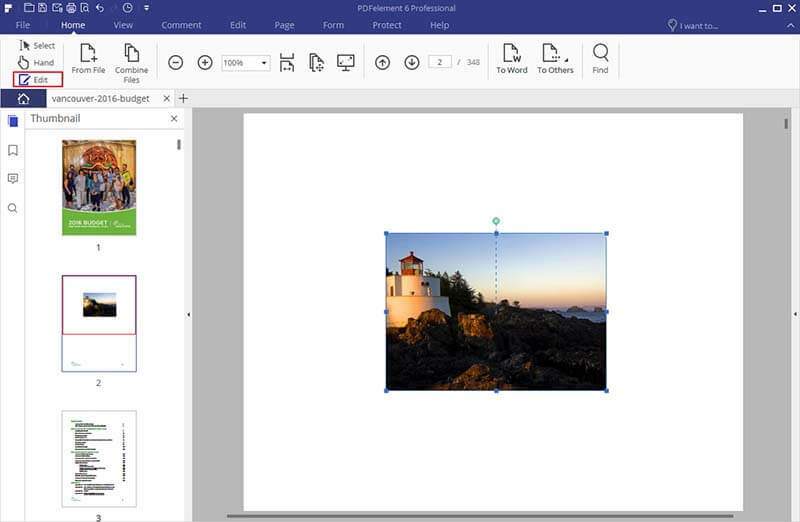 You can also resize, crop, rotate, replace and extract images from PDF. 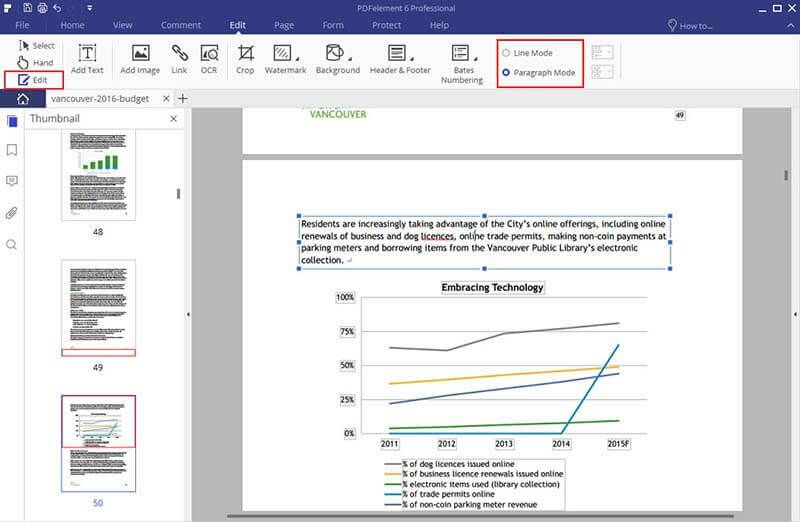 You can also easily edit text and pages within your PDF. As well, you can add comments, highlight, links, add watermarks, insert signatures and more to your PDF. 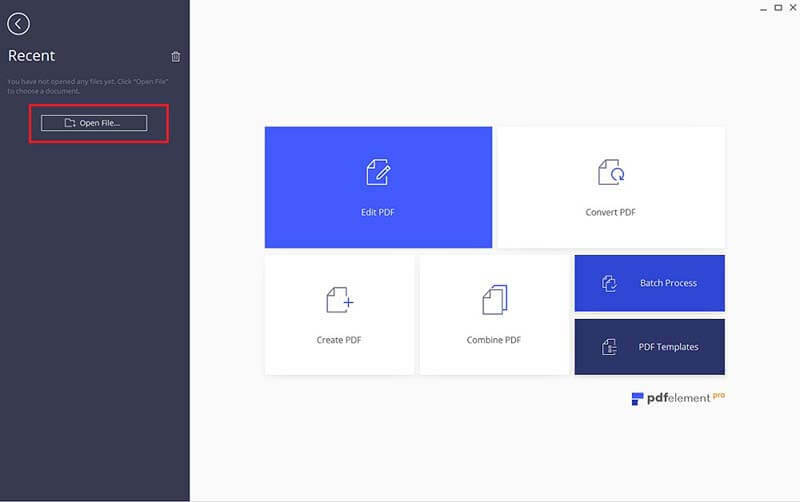 PDFelement lets you create PDFs from a variety of different file types, and convert PDF to other popular file formats for further editing. If your PDF is too large to share, you can compress it to a smaller file size without losing the quality. Launch PDFelement and open the PDF file you're going to remove images from. To do this, click the "Open File..." button and then select the target file from your local computer. Click the "Edit" button on the menu bar. You can now edit PDF images and graphics. Move your mouse over the PDF file to select the image(s) you to remove. After selecting the image(s), press the "Delete" key on your keyboard. Or click on the image and select "Delete" from the right-click menu. After removing an image from a PDF file, you can proceed with further editing your PDF. To insert a new image, click the "Add Image" button to import a new one. In editing mode, you can also freely modify the text on your PDF. Go to the "Page" menu and then select the option you need to add, delete, crop and rotate pages, etc to better manage PDF pages.